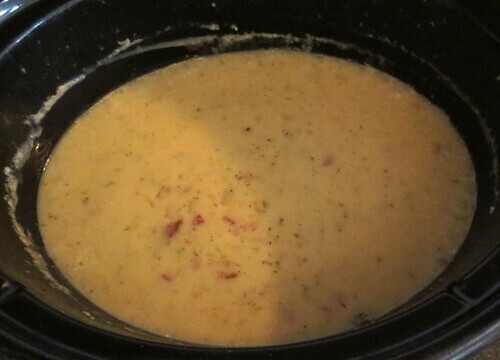 I have been enjoying potato bacon soup that I make from my home storage food reserves. 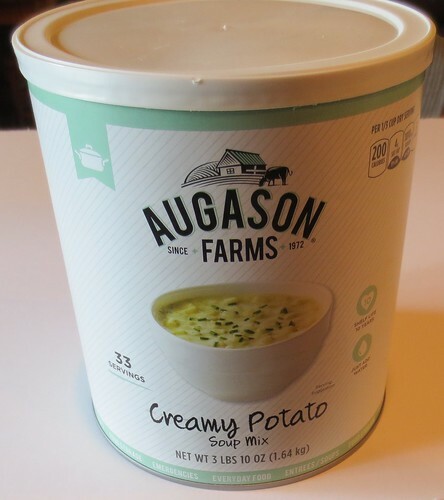 I thought I’d post about using Augason creamy potato soup mix. I have a few #10 cans of this soup mix and love using it to make my potato bacon soup. This is not a paid review for Augason’s but rather just my unsolicited opinion of the product. They say you should use and perfect your cooking with home storage foods and that’s just how I discovered my version of this potato bacon soup. I use 1-1/3 cups of the soup mix, along with the recommended 4-1/2 cups of water. 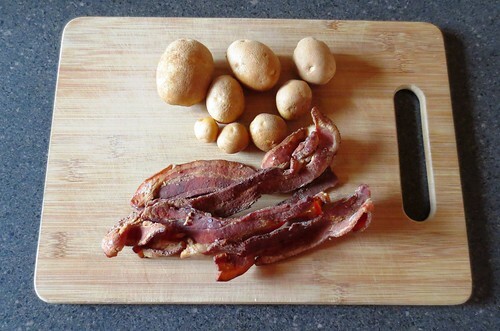 But then I add several dashes of Worcestershire sauce, several dashes of pepper, at least a cup of cut-up potatoes, and finally about 4-5 slices of cooked bacon. 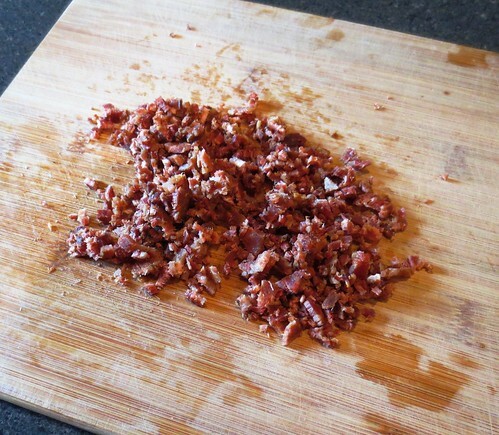 Chopped up the bacon into small bits as shown. I throw it all in my crockpot and cook on high for about 4 hours and then just on low until ready to eat. Results are outstanding and makes enough homemade soup for at least 2 meals for hubby and I.